Susan Seyfarth Lovejoy began her career in independent schools as Director of Admissions at Hathaway Brown School (OH), where she also taught, coached, served as an advisor, and coordinated the school’s financial assistance program. After several part-time positions in development and as a teacher at several schools and non-profit organizations, Susan became co-owner of Educator’s Ally (NY), a placement service for independent schools in the Northeast. After a family move to Chicago, Susan joined the Independent Schools Association of the Central States (ISACS) as Coordinator of Accreditation Services. She also served as a consultant to several schools in the areas of governance and personnel best practices. 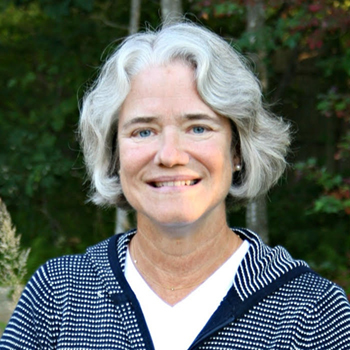 An experienced non-profit board member, Susan chaired the Board of Trustees of the Catherine Cook School (IL) for eight years and currently serves as Vice Chair of the Board at St. Michael’s Country Day School (RI), where she recently coordinated the search for head of school. A graduate of Milton Academy, Susan earned her B.A. in Government from Smith College, and holds an M.A. degree in Human Services from John Carroll University. Susan resides in Southern Rhode Island and enjoys golf, kayaking, hiking, travel and all activities with her grandson and his parents.